Whenever possible, I like to wear soft things. This way I can touch them throughout the day and creep people out as I lovingly caress my arms and chest. Just kidding, I don’t do it when people are around LOL. But really though, I cant say no to soft things that look good. And this sueded-knit moto jacket is soft like buttah. Even better, since it’s from Old Navy, you know you’re not going to have to pay an arm and a leg for good quality clothing — this jacket is less than $60! 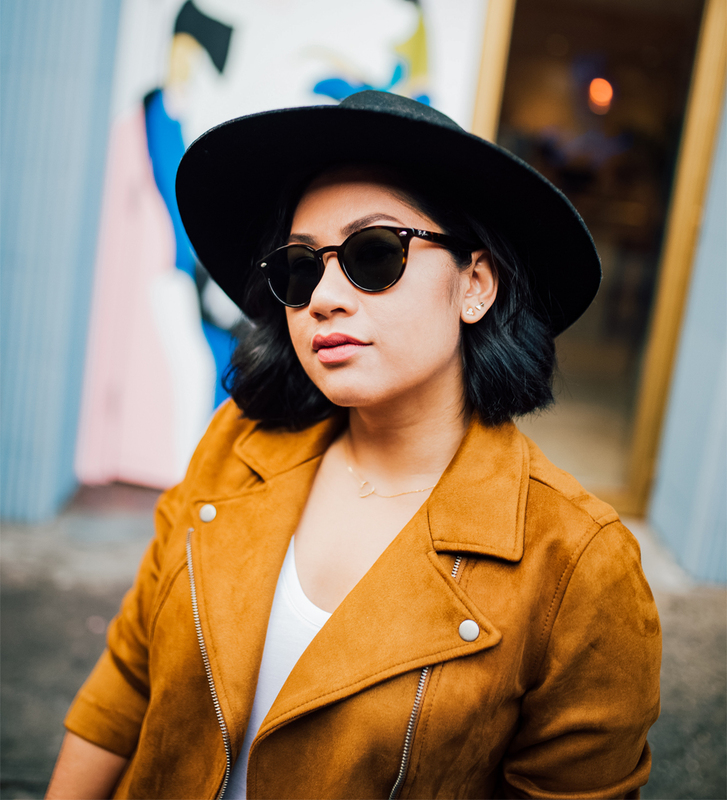 Read on to check out the entire outfit and see even more suede jacket picks for you to get your silky soft fix on. My outfit Combo: sueded-knit moto jacket from Old Navy, skinny jeans from Joe’s Jeans, top from H&M, sunnies from Ray Ban, watch from Christian Paul, hat from Topshop (find similar here ). I love love suede this season!! And your jacket is too perfect! That’s such a perfect jacket for Fall! I love the color too, looks amazing on you! That jacket looks so good on you ANNND that color! Perfect for fall! I have to admit, I was shocked when I read that jacket was from Old Navy. They have seriously upped their game, that’s for sure. Love this moto on you so much! I love this look! I have been really into moto jackets lately and love this one! This is a wonderful suede jacket! I love the color for fall! 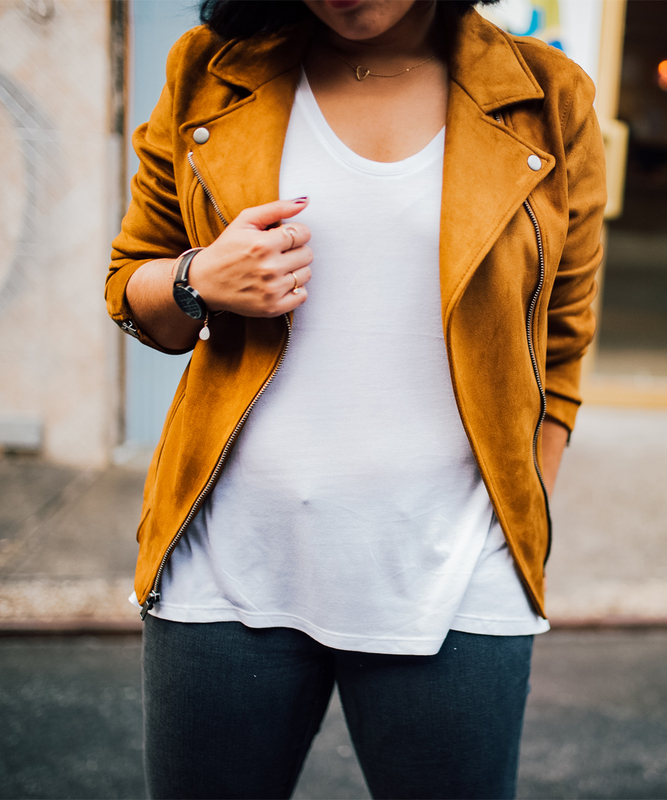 Oh my gosh this suede jacket is so pretty! I love the color. give me allllll the soft clothes!!! 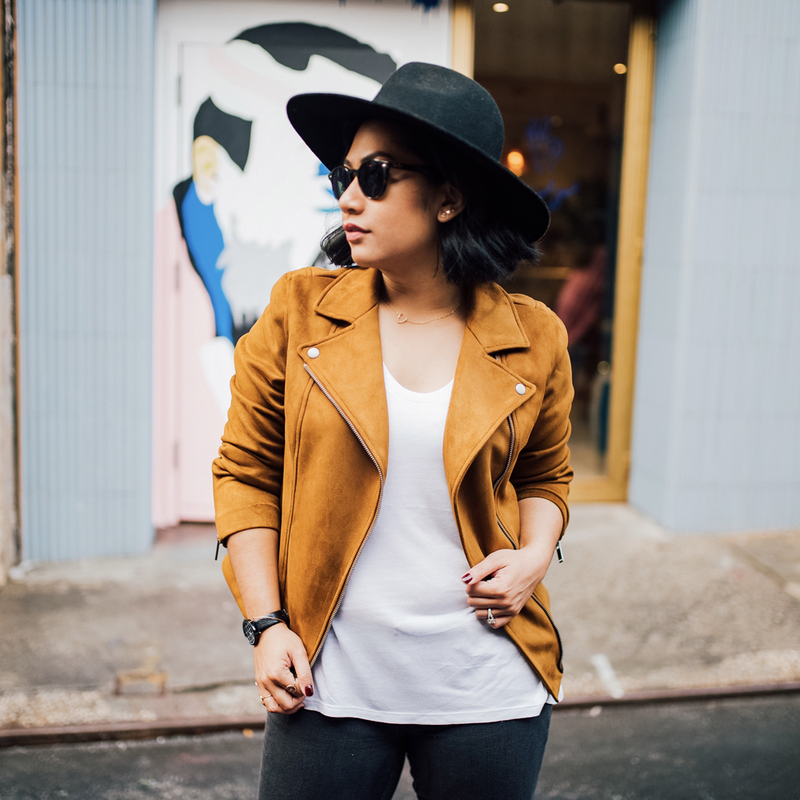 You are rocking this suede jacket girlfriend! 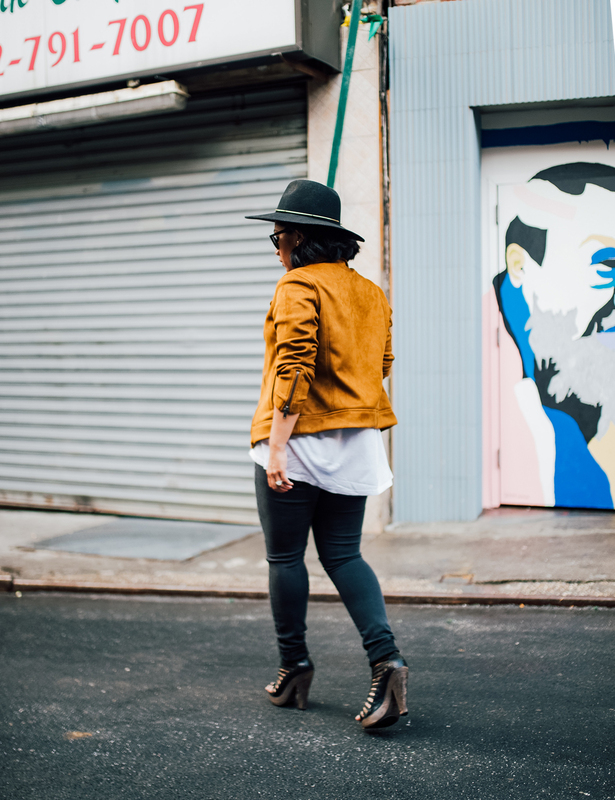 Suede is my favorite material for fall! I really love this mustard yellow! Totally digging the bright color and warmth. Finding a jacket that is soft is goals! Too bad that moto is sold out! I would have also loved one in burgundy if it exists!